Chaos at the Galaxy's Edge! This double-sized Space Atlas is your guide to two of the worst neighborhoods in the galaxy – the divided Phoenix Sector and the chaotic Saga Sector. 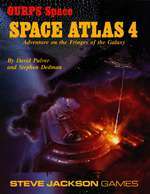 Forty-nine systems are presented with detailed descriptions of planets, a populated asteroid belt and the mysterious Phoenix Nebula. This is the most flexible Space Atlas so far. You can combine the sectors, use them separately, or choose individual worlds and fit them into your campaign. Each sector's introduction includes historical and background information to fit them into any campaign type – Anarchy, Federation, Corporate State, or Empire. Also included are suggestions for combining the two sectors and using them as allies . . . or enemies! Each world description includes a complete Planetary Record Sheet with an overview of the whole star system and a detailed description of the planet itself, following the format GURPS Space. Each description includes a two-color planetary map, atmospheric and ecological data, population, government and much more. Many world descriptions contain new animals, aliens, and vehicles – all with complete game statistics. Also included are character point costs for playing four different alien races and three types of genetically modified humans. 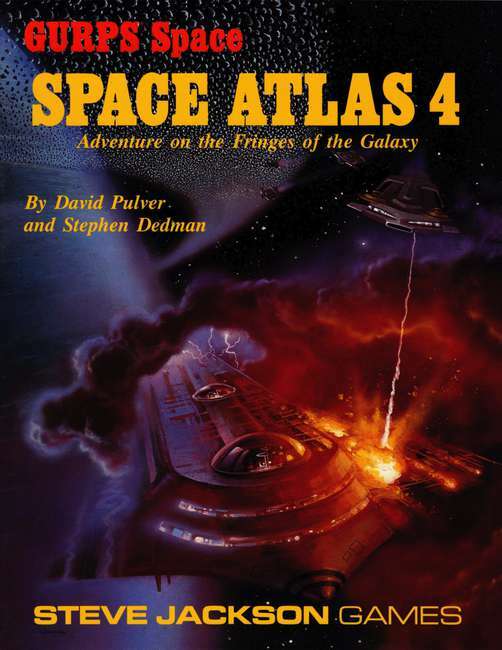 The Space Atlas series is designed specifically for GURPS Space, but can be used in any interstellar roleplaying game.